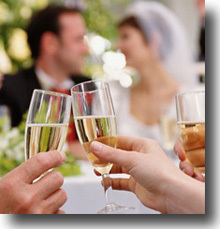 Are you looking for an adventure wedding in which you can consummate your vow and ring exchange in a thrill-seeking way? 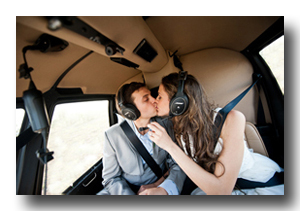 If so, saying “I do!” while soaring through the air in a helicopter over Lake Tahoe may be an ideal way for you to fly down the aisle of matrimony. 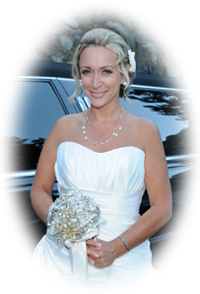 A midair Tahoe wedding at one of the most beautiful places in the world will undoubtedly be an invigorating experience on a very special day in your life. 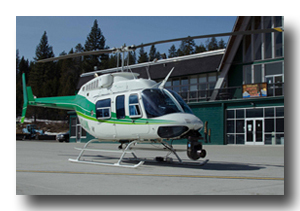 Your adventurous trek will began at the South Lake Tahoe Airport where you’ll board a helicopter equipped to seat the bride, groom, and minister. 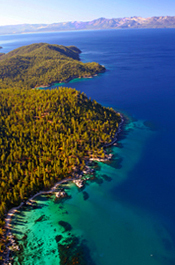 The flight is approximately twenty minutes long and the ceremony will occur inflight while wheeling over the vivid blue water of Lake Tahoe and renowned Emerald Bay. 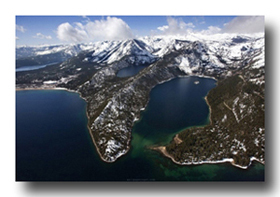 You’ll also fly in the midst of the striking Sierra Nevada Mountain Range that surrounds the alpine lake, adding to the gorgeous scenery you’ll be viewing from the sky. After your ceremony is performed, you can relax and enjoy the remainder of the flight and the abounding beauty that you’ll witness. 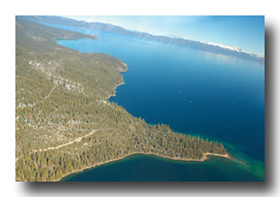 Additional aerial scenic views you’ll be observing include the pure, unsullied 72 mile circumferential shoreline of Lake Tahoe, the trio colored water of Emerald Bay Falls, and multitudes of colossal summits of the Sierras. Though a bit nontraditional, an airborne Tahoe wedding aboard a helicopter will provide a unique experience that’s unforgettable. 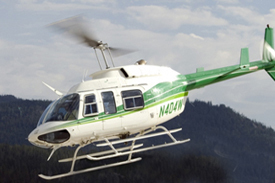 Helicopter package includes three boarding passes: one each for the bride, groom, and minister.